Get the inside info on this celebrity feud. Chelsea Handler has been friends with Jennifer Aniston for a long time — and the comedian has been vocal about her dislike of Angelina Jolie. On the April 11 episode of Watch What Happens Live, Andy Cohen asked Chelsea and singer Melissa Etheridge about their years-long feuds with the actress and tried to find out where things stand now. Click through the gallery for all the info on what went down — and to find out why Brad Pitt was almost Melissa’s sperm donor! Andy, 50, played a fan question for Melissa. “After you performed your original song about Brangelina on Watch What Happens Live, did you ever hear from them and would you perform it on tour?” the fan asked. Back in 2016, Melissa, 57, played a satirical song on WWHL about the Brangelina divorce. She was responding to criticism she received after she bashed Angelina on Andy’s Sirius radio show. “Did you hear from either of them after [the song]?” Andy asked. Melissa said she hadn’t. “It was really tense there for a day,” Melissa admitted, saying she felt “threatened,” but then it all went away. “This is like a meeting of the Angelina Jolie fan club here,” the Bravo honcho quipped, since Chelsea and Melissa have both feuded with the Maleficent star. Melissa also revealed that she originally considered Brad, who had been her longtime friend, as a sperm donor for her children, but it was “really complicated.” “I wonder why,” Chelsea joked. The “Come To My Window” singer previously explained that she and Brad were friends for years — until he got together with Angelina. They stopped speaking. Melissa had performed at his wedding to Jennifer in 2000. Melissa was also friends with Laura Dern when she was engaged to Billy Bob Thornton. She told Andy in 2016 that Angelina was “nasty” to Laura. “I was around when Angelina was not doing nice things with Billy Bob to Laura Dern,” she said. Angelina and Billy Bob married in 2000. Chelsea, meanwhile, also has a long history of slamming Angelina. 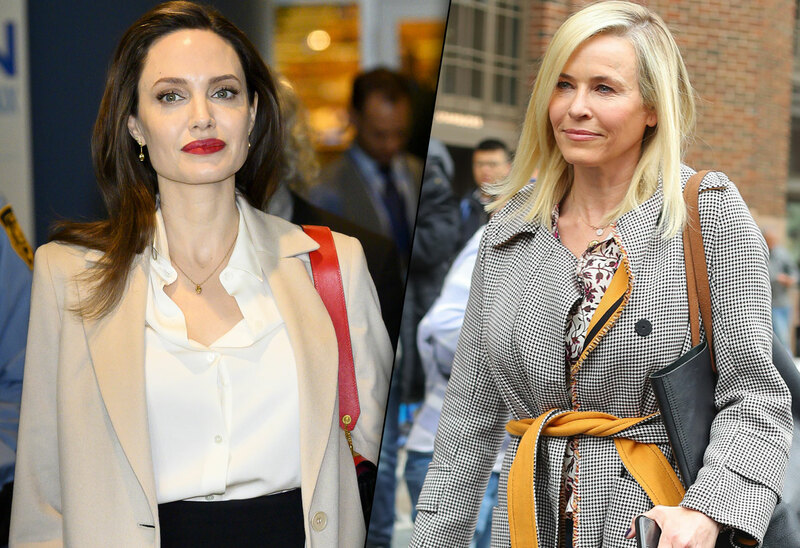 What do you think of Angelina’s feuds with Chelsea and Melissa? Sound off in the comments!